Westminster was founded in 1876 as a railroad stop. Our historic Depot, restored in 2007 after a fire, is central to downtown life, serving numerous organizations as a meeting place. Westminster boasts more than one hundred homes that are unique to the late 1800’s and turn-of-the-century. The General Store Museum houses the contents of England’s General Merchandise Store that was originally purchased by the Westminster Area Historical Preservation Society and then donated to OHC. 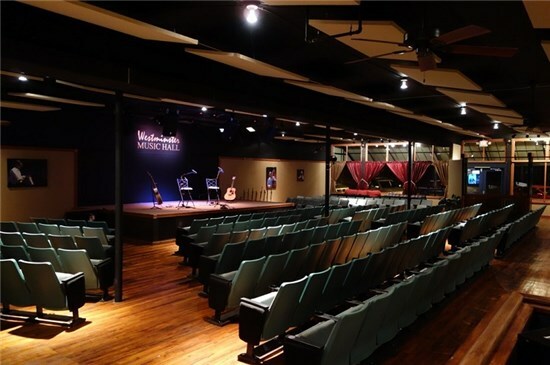 The Westminster Music Centre is a premier venue for live music. Located on Main Street, this renovated historic building seats 150 patrons and offers light snacks and beverages during performances. Westminster hosts the annual South Carolina Apple Festival that is held on Main Street the week after Labor Day. The Apple Festival celebrates the beginning of the Apple harvest season in Oconee County—the largest apple producing area in South Carolina! When you come to Westminster, SC, be sure to bring a big appetite for Southern cooking. Grits, sausage biscuits, BBQ, farm raised vegetables and of course – GRITS! El Jimador and Puerto Nuevo – Mexican food and Margaritas! Farm Café – Located on the farm with farm fresh meat and veggies. Saturday night special is Low Country Boil! For more information on local dining, please visit the dining section of the Mountain Lakes CVB.